Definition – An awning window is a window that is hinged at the top that swings out. It is generally made of vinyl, wood and aluminum. These windows provide full ventilation and can be left open even in the rain. They are usually square and rectangular in design. 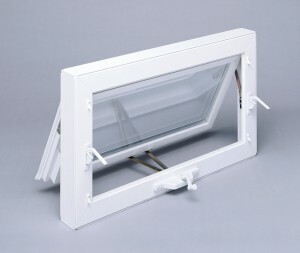 Can be left open when it’s raining – Since the window opens out it can be used in a bedroom, dormer, kitchen or above sliding glass patio door. Provides full ventilation – The entire sash of the awning window opens to maximize air flow. Maximizes light transmission– Unlike a horizontal or vertical sliding window the awning design has a full sash without any bars through the middle to cut down light or views to the outside. Reduces drafts – Since the sash compresses against the frame in awning windows they provide a better seal than gliding windows. Works well in small spaces – If you use obscure glass this window provides a space effective ventilation solution for areas like small stand up shower stalls. Can act as a sunshade – If you add tinted glass or internal blinds this product can actually serve as a canopy window. Harder to clean– These windows must be cleaned from the outside due to their operating style. Sashes have greater exposure to the weather – Since the sash opens out it comes into more contact with the elements. This disadvantage will be greater when using a wood window vs. a vinyl window. 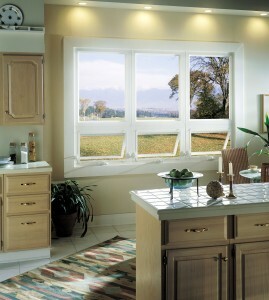 Increased expense – Awning windows are generally more expensive than double hung and sliding windows. Sizes are limited – these windows usually are limited to square and rectangular shapes and sizes are limited due to limitations with the hinge hardware. As a kitchen, living room or bedroom window – either as a single window or as a group of transom windows above picture, bay or bow windows. As a dormer window with a remote control. Do you have any questions or advice about using an awning? If so please comment below. To learn more about wood or vinyl awning windows or to get free consultation contact Cleveland Window Company (216-531-4118) or Clear Choice Window & Door in Columbus (614-545-6886) or in Cincinnati (513-744-2184) – divisions of Innovate Building Solutions. 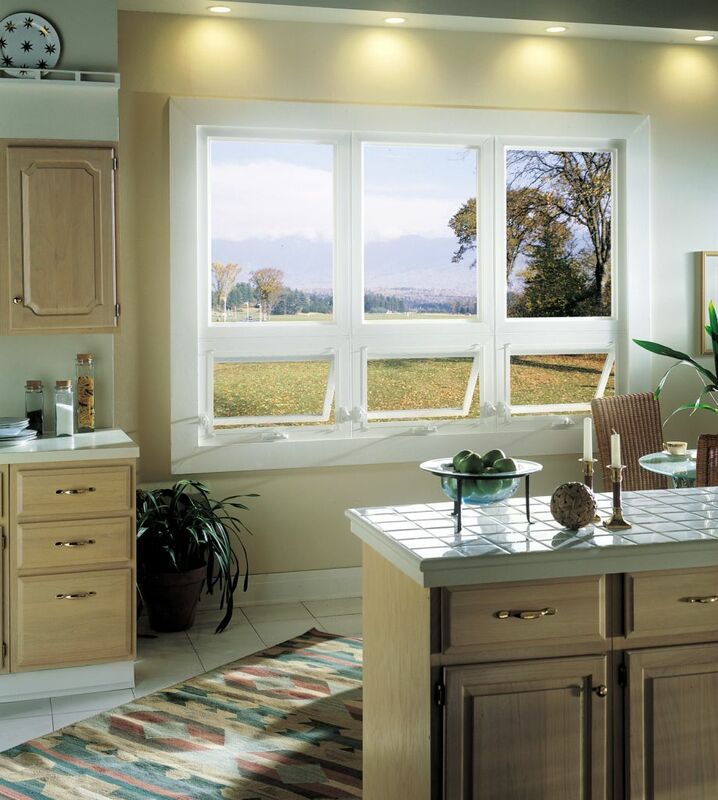 Vinyl or Wood Crank Out Casement Window – Are they the best choice for your home? Would like a quote for an awning window 40″ wide by 15″ high.